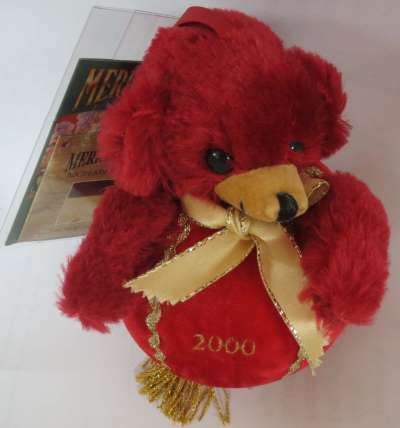 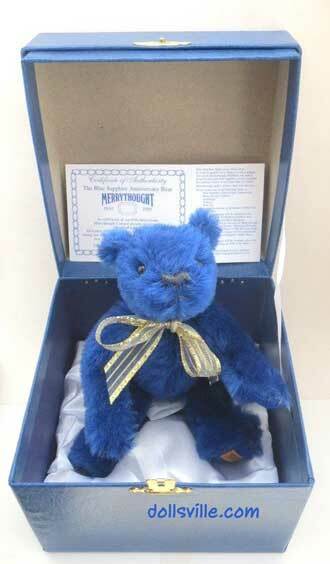 Merrythought, England issued this bear in 1993 to commemorate the 50th year anniversary of the coronation of England's Queen Elizabeth II. 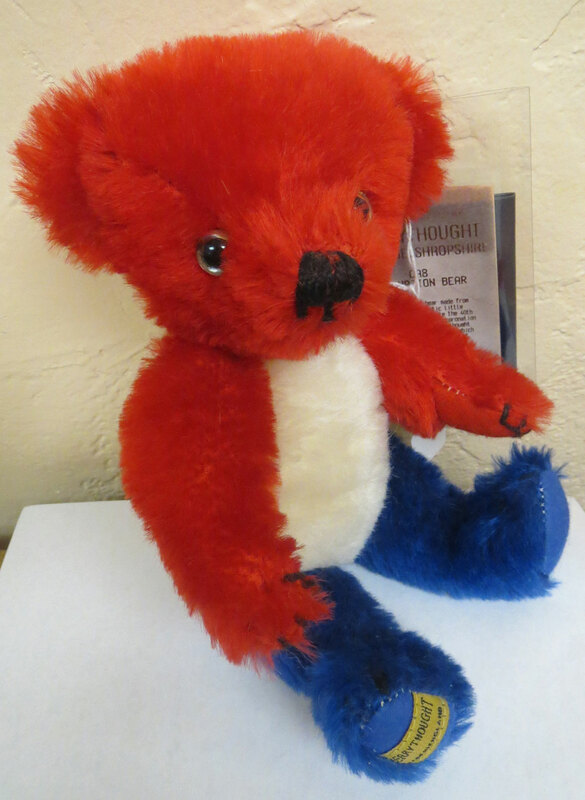 It is a replica of the bear they produced in 1953. 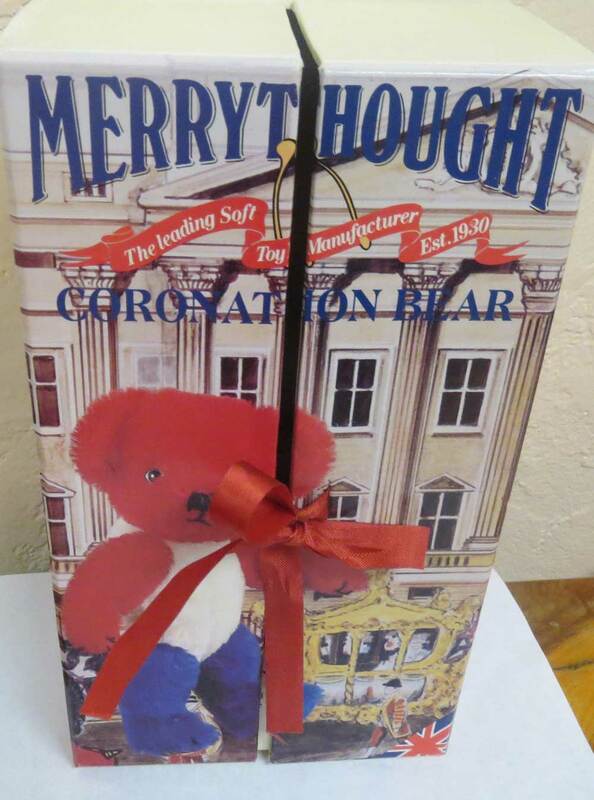 On 2 June 1953, Queen Elizabeth II was crowned as the monarch of the United Kingdom, Canada, Australia, New Zealand, South Africa, Pakistan and Ceylon. 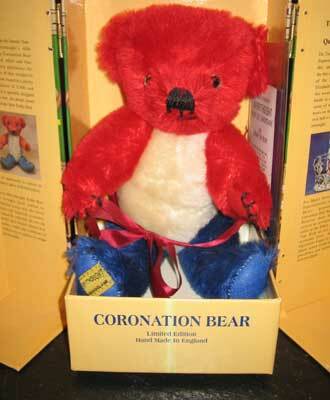 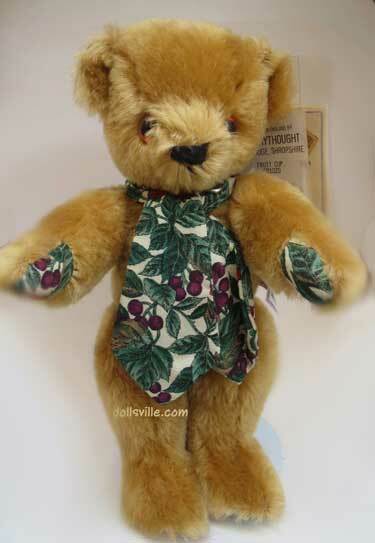 This Commemorative Coronation Teddy Bear 1953-1993 comes in his own display box. 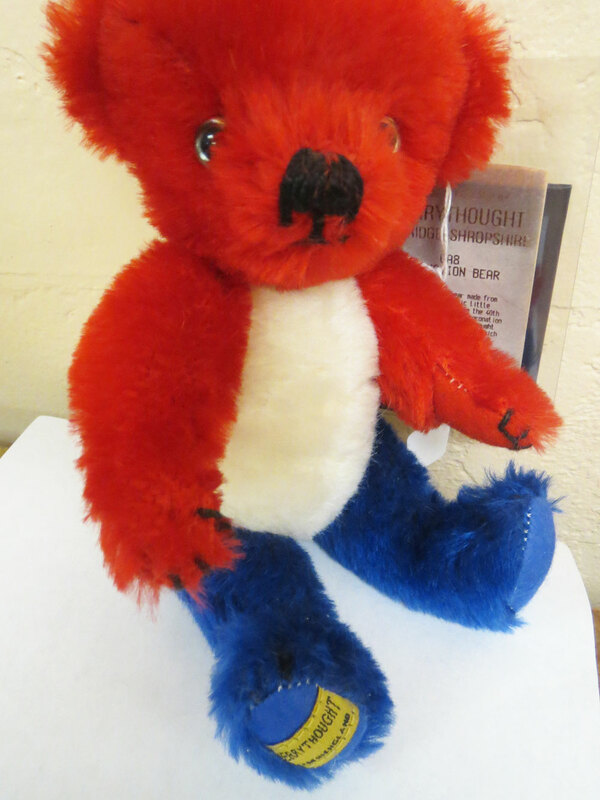 A red, white and blue fully jointed English Mohair teddy bear. 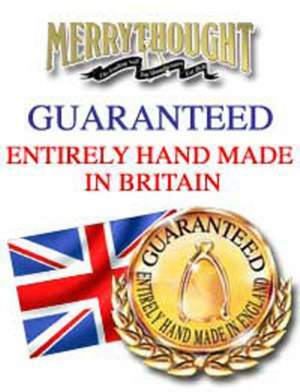 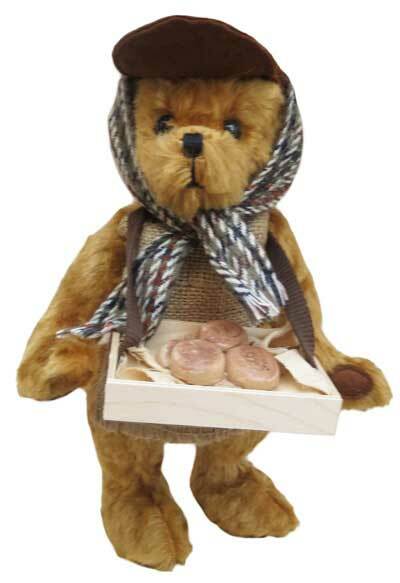 The talented artists at Merrythought, in England, create adorable teddy bears. 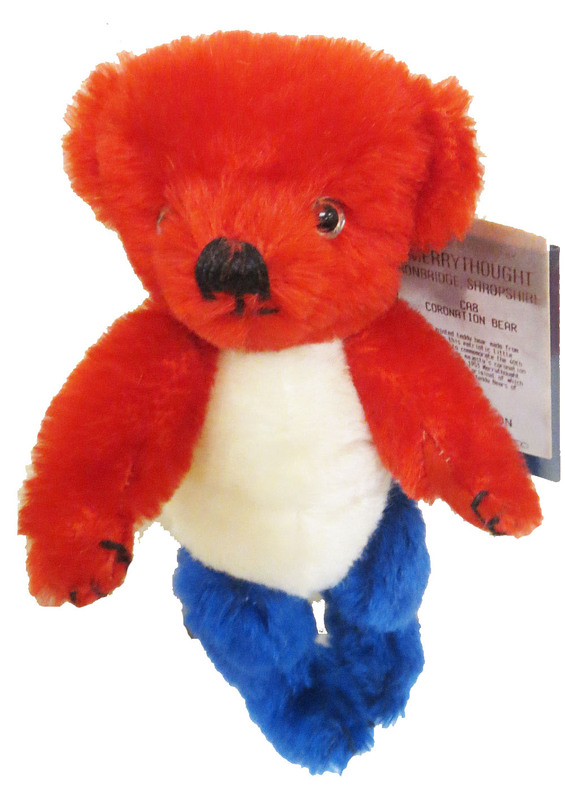 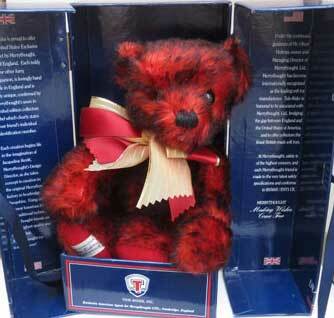 This fully jointed Teddy Bear is hand-made from the finest red, white and blue pure English Mohair. 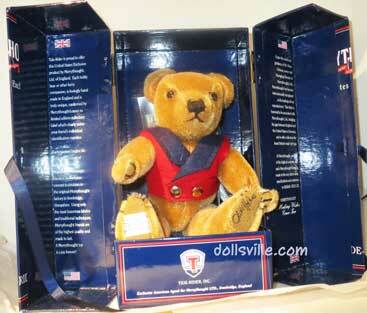 10 inches tall, he comes in an exquisite illustrated presentation box.